Content creation remains by far the single biggest element of search engine optimization and marketing. While it can be easy enough to focus on strategies for promoting your website and expanding its reach, you need ways to bring people in and draw their attention once you’re in front of them. With content, this becomes both possible and effective. Because link building often helps build traffic and increase SEO credibility, many are looking for ways to earn valuable and meaningful links on other websites. When considering that both links and content are valuable, it should surprise nobody that the intertwining of the two has become quite possible. Today, we’ll review the basics of guest blogging, what you can expect to gain from it and how to do it properly. 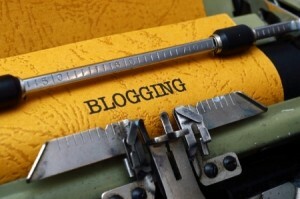 The first act in guest blogging is to find reputable targets for your efforts. Most websites and blogs that allow guest pieces clearly state so in their about us sections (or may even have a “write for us” section clearly listed). Some places just don’t accept guest blog posts: it’s important that you don’t waste time pinging servers with requests for guest posting services if the sites in question do not accept them. Fortunately, you’ll find that many blogs offer guest posting services, both within and outside of your niche. While it is better to target blogs that are related to the topics of your own website, there may be opportunities to also write relevant pieces for news sites and other platforms that cover a wide variety of topics. With a list of guest sites in hand, reach out to the owners and inquire about the opportunity. While you shouldn’t expect to hear back from every website or blog, you’ll hear back from most if you followed the above advice. In most cases, providing a sample of your past work to show you are serious and capable is enough to secure a tentative approval to begin writing. Each blog and website will have different requirements for their posts, however, so be aware of this and feel free to turn down offers if they feel too elaborate or out of your realm of expertise (with so many guest blogging opportunities, you can turn down offers without feeling bad). Once you’ve been approved, the next task is to begin brainstorming ideas for guest blog posts. Some sites will want you to tie in your area of expertise with one or more other subjects: while not always possible, this is often quite easily done by those with a decent amount of writing experience. Whatever the case, settle on a topic and begin hashing out the content. After you have the topic(s), hammer out the content. This part is easy for those with writing experience: just remember to include a relevant link back to your website so you’re pinging servers with links (and make sure it’s in accordance with the site’s guidelines!). Confirm with the owner that the content is along the lines they were looking for; in some cases, they will publish the content themselves, while in others, they may provide you with limited posting access to do it yourself. Once a few good relationships are forged, guest blogging is no more difficult than traditional blogging on your own behalf. With just a few simple steps to cover, you can be guest blogging in little to no time.